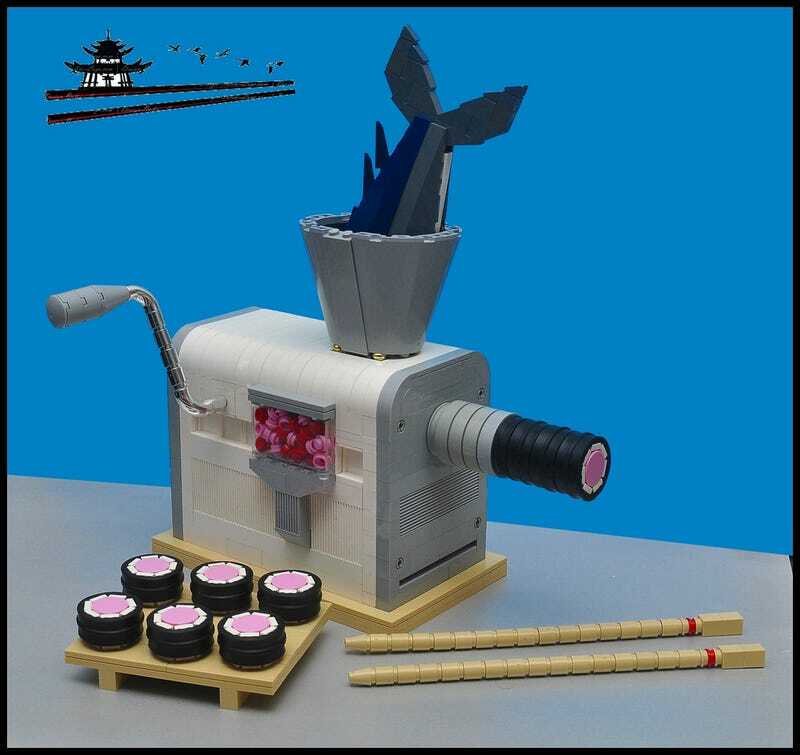 Built by Gicelio chagas as an entry for Iron Builder, this Sushi machine does not disappoint. I really enjoy the inside out tires used to make the seaweed wrap on the brick stuffed rolls. The chrome brick in the handle is a great choice. Another super awesome build.